The president says he is sad at the news of a police officer assaulting a woman at a branch of the Midland Savings and Loans company in Accra. Nana Addo Dankwa Akufo-Addo who is on a tour of the Northern region said the officer has gone against the tenets of the Service, a situation which shouldn’t have happened. The police officer – Fredrick Amanor – was seen in a video which has since gone viral, hitting the nursing mother with an umbrella and punching her as well in the East Legon branch of the savings and loans company. He is reported to have taken the action after officials of the company ordered him to walk the woman out of their premises where she had gone to withdraw money. She was said to have reported at a time when the bank had closed. The police administration says the officer has been stripped of his position and investigations are being conducted into the incident which left social media and the entire nation in shock. 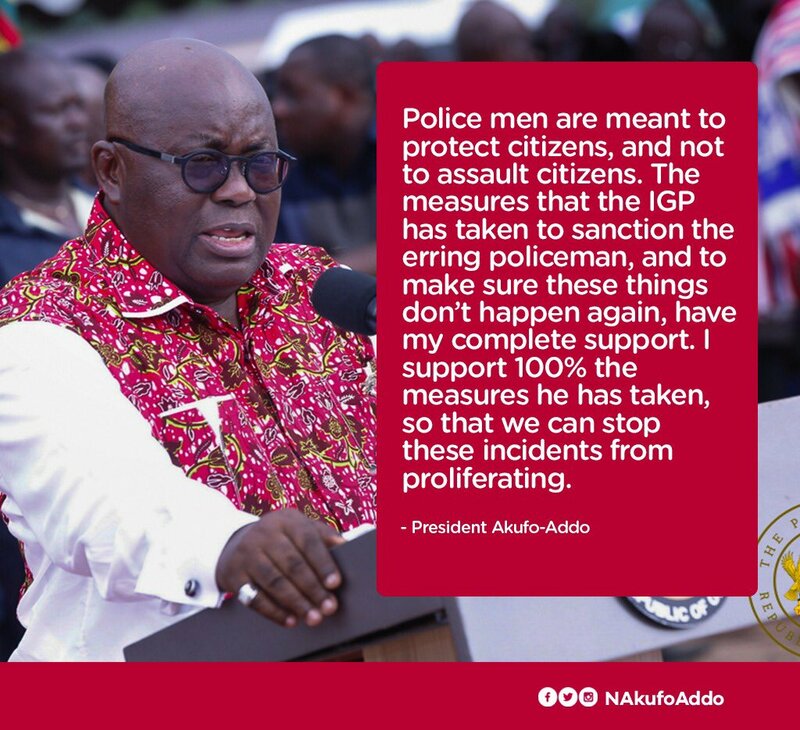 President Akufo-Addo says he is in full support of every action that will be taken against the officer. Watch the video of the president's comments.